Do you have a health care plan? If you do, that’s great! But, you can’t stop there as there is a lot of lingo and tips to learn to maximize the value of your health care plan. If you are unfamiliar with you health plan, it’s like having a gadget or fancy car, but not knowing how it works or knowing about all of the features. The more knowledge you have, the better experience you’ll have with your health plan. Like do you know how to manage and/or avoid unexpected health care costs? Last month, when B fell, I knew her wrist was broken. Being after hours, we had to use urgent care. Of course, this isn’t the cheapest option, but it is cheaper than going to the emergency room. 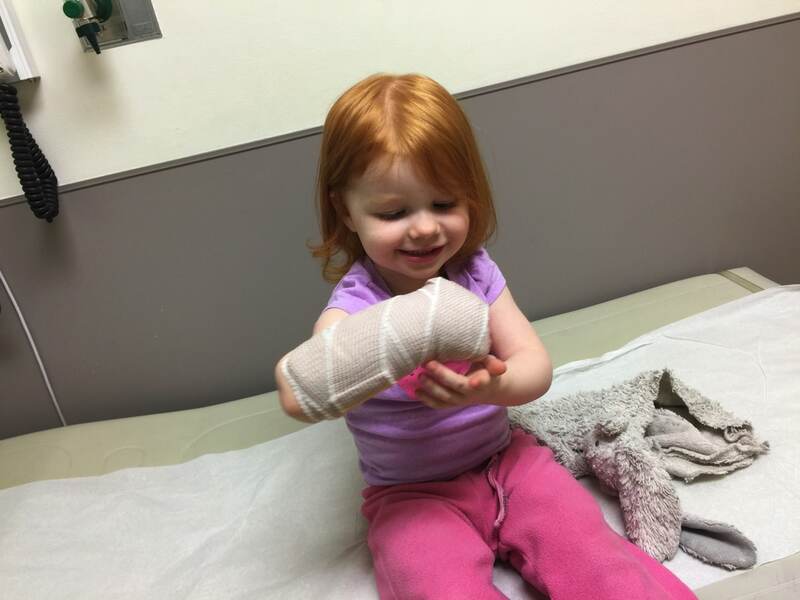 Once the X-rays were performed and my suspicions confirmed, they put a splint on her. For reference, this was about $550! 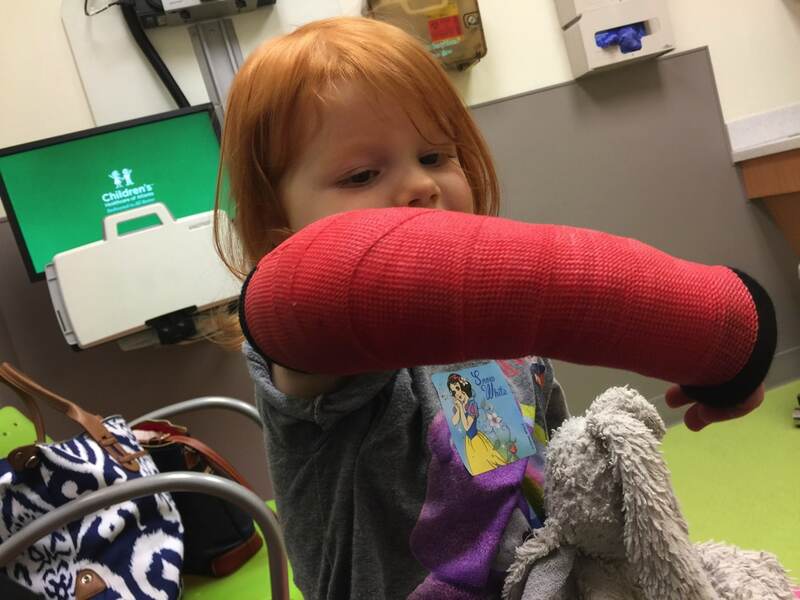 The next day, it was time to find a pediatric orthopedic specialist to put on her permanent cast and get her on the way to healing. Of course, we were given a list of potential doctors by the urgent care nurse, but they didn’t consider our insurance. When calling the offices to set an appointment, I was sure to confirm that their facility and doctors were in our network to keep our costs as low as possible. As an in-network doctor, this appointment, more X-rays and the cast were over $600! Can you imagine if it was out of network and had the potential to be 5 times higher? Every time healthcare is mentioned, I must bring up the Health Savings Account or HSA. It’s the best thing going in health care right now. If you don’t have one, Get One! If you’re not contributing, Start! If you’ve got a some money stashed in your HSA, be sure to investigate your investment options so your earnings can outpace inflation and grow a health care nest egg. Thankfully, we front loaded our HSA this year, so we didn’t have to worry as much about these unexpected costs. I know that it’s not an option for everybody, but if there is money that you can put into it. Try! Having over $1500 for this arm break (because she had to get a brace and more X-rays after getting the cast off) isn’t an easy thing to budget and swallow! 1. Stay in network when getting treatment or going to see a doctor. If you don’t, you could end up paying 5 times as much for a surgery done by an out of network doctor as you would with a doctor in network. -personalized estimates on a variety of services. 3. Sometimes you may need to see a specialist for a certain reason or condition. The important thing is to check whether or not your plan requires referrals for those types of visits. Your Primary Care Provider tracks your health care and status, so they can help prevent small problems from getting bigger, and thus can refer you to a specialist. Make sure you get a referral if your plan requires it…otherwise visiting a specialist can set you back thousands of dollars. THESE GIVEAWAYS HAVE NOW ENDED. Lucky for you, UnitedHealthcare has three info-packed quizzes/games and each one gives you a chance to win cash! Each week, someone will win $100 and and there will be a $500 monthly winner for each engagement. I know you’ve filled out that survey to win a free sandwich before from your favorite chicken restaurant, so this should be no problem. 1. Cost Quiz 123: A simple, 3 question multiple choice (or true/false) quiz about how to manage health care costs. Enter the promo code “reallyareyouserious” at the end when prompted for your information. 2. Look and Learn: A short video about how to avoid cost surprises after enrolling in a health care plan. After watching it, you must answer one question that pertains to the video. Enter the promo code “reallyareyouserious” at the end when prompted for your information. 3. Perfect Match: A memory/concentration game with health care terms, which helps you understand the basic cost terminology that you may come across in your health care plan. Enter the promo code “reallyareyouserious” at the end when prompted for your information.